The Racing Appeals and Disciplinary Board is currently constituted by 11 members including the Chairman and two Deputy Chairmen. Board members are bound by all relevant Code of Practice policies. This includes that whilst holding office, the Chairman and Deputy Chairmen must not own or have an interest in any racehorse, nor hold office in any Racing Club. John Bowman LLB (Hons) practised as a Barrister from 1970. John was appointed a judge of the Accident Compensation Tribunal in 1987 before that Tribunal was abolished in 1992. He continued practising as a Barrister until February 2001 when he was appointed a Judge of the County Court. In 2002 John was appointed a Vice President of VCAT and has served as Acting President at various times up until recently. John has been principally based at the County Court since 2008 sitting in the civil jurisdiction. He has served on the Executive of the County Court and was Administration Judge for a period. Prior to his appointment as Chairman John has been a keen racehorse owner having owned some 60-80 horses over the years with modest success. Brian currently holds a number of company directorships with private and charitable organisations. Brian is a lawyer who previously worked in private practice for 25 years. Brian has a long time interest in, and involvement with, horseracing as an owner and breeder. He is a member of various racing and sporting Clubs. Director of Maurice Blackburn, heading up its Employment and Industrial Relations practise. Josh has practised in this field of law for 20 years. He has extensive experience in ligitation, including both the High Court and Federal Court. His practise also involves representing employees in a range of workplace matters including disciplinary matters. Josh has appeared in cases in the Federal Court, Industrial Relations Court, Supreme Court of Victoria and the Fair Work Commission (together with its predecessors). Prior to his involvement as Deputy Chair in September 2013, Josh has been involved in racing as an owner for a number of years. Stephen has been a member of all three metropolitan racing clubs and raced horses for over 30 years. Stephen's time on the RAD Board has provided him with welcome insights into the racing industry. He has been taken by the dedication of the RVL Integrity Team to provide a level playing field for racing's participants and the courage shown by jockeys as highlighted in the slow motion videos of incidents which come before the RAD Board. Geoff has been a racehorse owner for over 30 years. Partner of King & Wood Mallesons. Chris has been a partner of King & Wood Mallesons for over 20 years, and has practised in dispute resolution for nearly 30 years. Chris’ practice has straddled a variety of practice areas, including corporate, competition, telecommunications, resources and contractual disputes, class actions, and regulatory proceedings. Chris has previously worked with the UK law firm, Herbert Smith, in London. Prior to his appointment to the RAD Board, Chris served 3 terms as a member of the Harness Racing Victoria Panel of Appeal Hearers. Professor Harbridge is a retired academic with his last position being Dean of the Faculty of Law and Management at La Trobe University. Raymond has had a long association with the NZ and Australasian racing industries, including working with on-course totalisators and Race Clubs including harness and greyhound racing. Raymond holds a Higher Doctorate in Law as well as an M.A. and a B.A. Raymond has have been a member of various thoroughbred clubs over the years. Since 1990 he has raced horses both in New Zealand and here in Melbourne. He has been with New Zealand trainer Murray Baker for over 25 years. He has raced about 20 horses over the past two decades with moderate success and has a strong knowledge and appreciation of the racing industry, albeit from a hobbyist perspective. Lawyer in Telstra’s Dispute Resolution Legal Unit. Whilst Darren primarily manages and provides the legal advice on claims for compensation, he also gives the legal advice for compliance with varying types of court orders, in all jurisdictions nationally. Darren’s role includes regular appearances in Victorian courts and Tribunals. Prior to being admitted as a lawyer, Darren worked at Telstra in an investigative capacity, with a focus on both internal misconduct and external fraud issues. His role included the formal interviewing of suspects, preparation of briefs of evidence, and the subsequent prosecution of the individuals concerned. Darren’s love of thoroughbred horse racing extends back over 40 years, to when he was first introduced to the sport by his father. 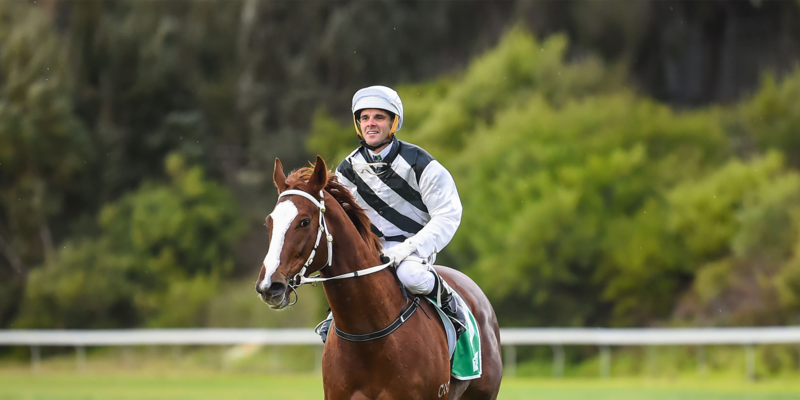 Darren currently has interests in a number of racehorses, and is a regular attendee at all metropolitan race tracks throughout the racing season. Partner of law firm SBA Law (formerly Schetzer Brott & Appel). Jeremy is a commercial and corporate lawyer with significant experience in transactional law, corporate reconstruction, capital raisings, joint ventures, board advisory and contractual matters. Prior to his appointment to the RAD Board, Jeremy’s legal practice included advising clients on the acquisition and syndication of stallions and in relation to racing litigation. In the latter context he acted for connections in a number of high profile matters including the Skalato and Mistegic cases. Jeremy is also a member of the Panel of Chairmen of the Grain Trade Australia Export Contracts Tribunal. Jeremy was admitted to practice in 1998 and holds bachelor degrees in law and commerce. Jeremy comes from a racing family and has been involved in breeding and racing since childhood. He continues that involvement through ownership today. Shaun became a Barrister in 2005 and continues to practice. Shaun has been a lawyer since 1999 and was a Partner with Kenyons Lawyers from 2003 until 2005. Shaun has been an AFL Field Umpire since 2003, including 5 Grand Finals, 25 Finals and 2010 All Australian Umpire. Shaun grew up in a racing family. He is the nephew of Pat Hyland and his father was a successful jockey in Western District for the great trainer Kevin Lafferty. His brother was a jumps jockey and his twin brother Patrick is now a trainer. Dr June Smith is an ethicist and a lawyer with a significant track record as an independent decision maker. June is well recognised for her work in developing, monitoring and enforcing integrity and professional frameworks across a diverse range of industries and professions, including professional standards and business ethics in the financial sector. In her current role as Lead Ombudsman (Investments and Advice) at the Financial Ombudsman Service, June provides technical and professional leadership for decision-making in areas of domain expertise including financial advice, managed investments, life insurance, stockbroking and derivatives FX/CFD trading, superannuation, timeshare, fund managers and traditional trustees. June has a PhD in Law from Victoria University, specialising in professional and business ethics and organisational decision–making within financial services organisations. She also holds a Bachelor of Arts (Hons) and a Bachelor of Laws degree from the University of Melbourne. She is a graduate member of the Australian Institute of Company Directors, a member of Racing Victoria’s Racing Appeals and Disciplinary Board and an Adjunct Fellow of Victoria University’s College of Law and Justice. Find out more about the Disputes Tribunal and the process all disputes will undergo.